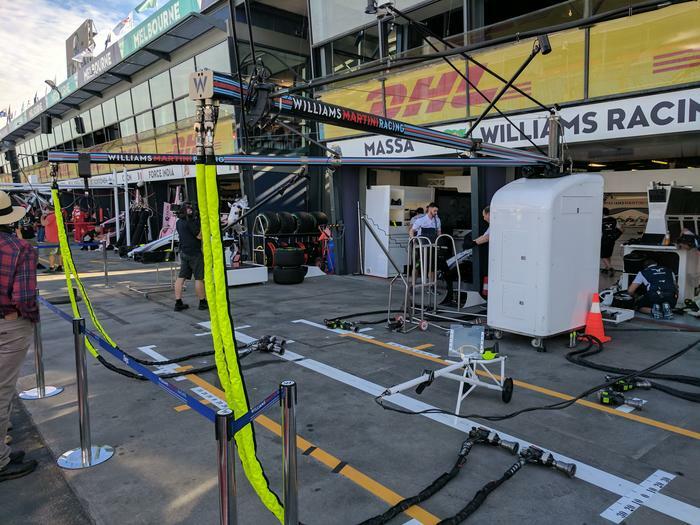 All eyes might be on the big new cars, swept-back front wings, massive rear tyres and neck muscle definition of the drivers, but absolutely nobody is paying any attention to one of the most prominent parts of pit lane: Boom Gantries. 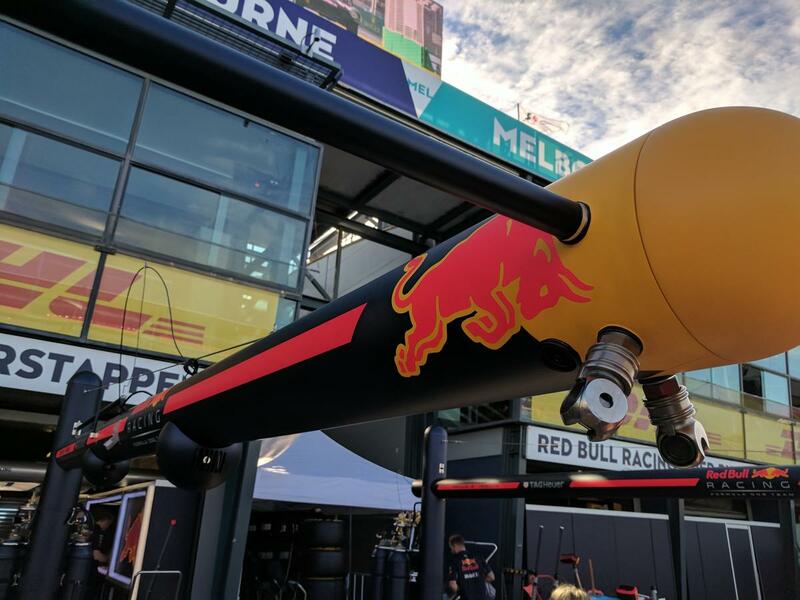 These contraptions can't be ignored and they come in all shapes and sizes with all kinds of protrusions, design flourishes, sticky-outy bits and knobbly stuff to delight and surprise the visiting crowd and raise-the-eyebrows-of/psychologically-destroy the opposition. 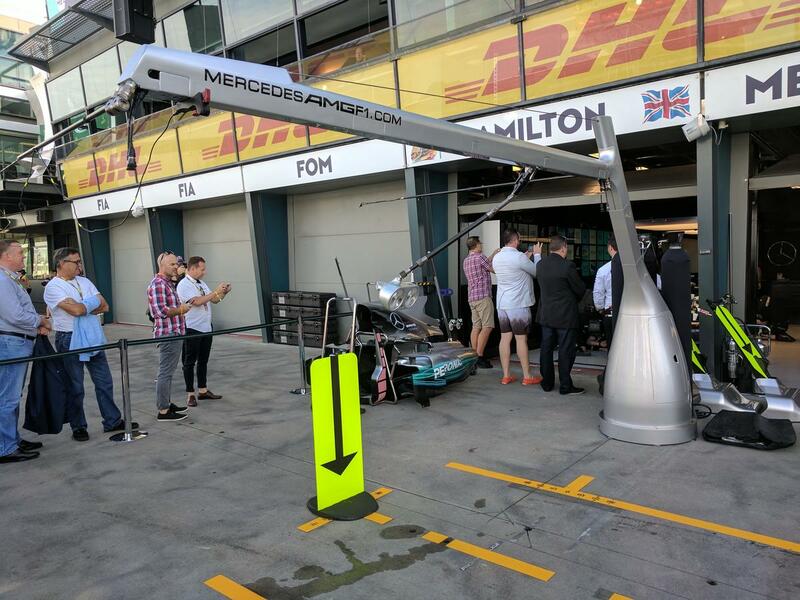 Yet some teams merely use them to hold up the wheel guns and pit stop traffic lights. So who did it best? 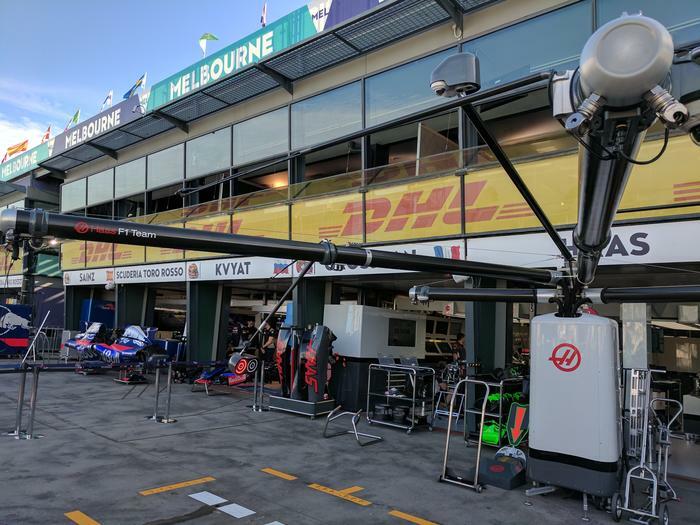 Which team has the Best Boom Gantry in Formula 1 2017? Dear oh dear, Force India. Is that really the best you could do? This caveman-era technology impresses nobody. It could be replicated with three sticks and some rope. 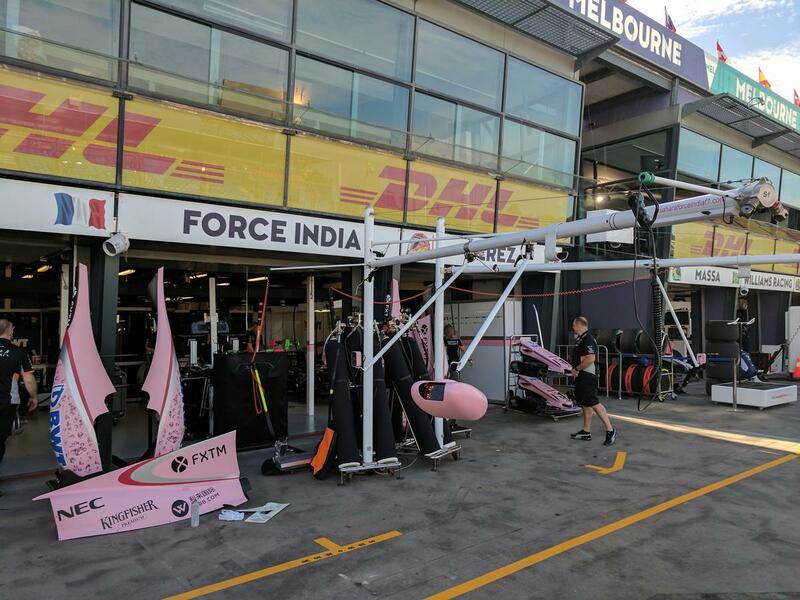 Perhaps the designers spent all their time on that lovely pretty pink paint job for their cars, though? If so we'll forgive them. Gallic/Italian/Austrian flair? They're just some black pipes. 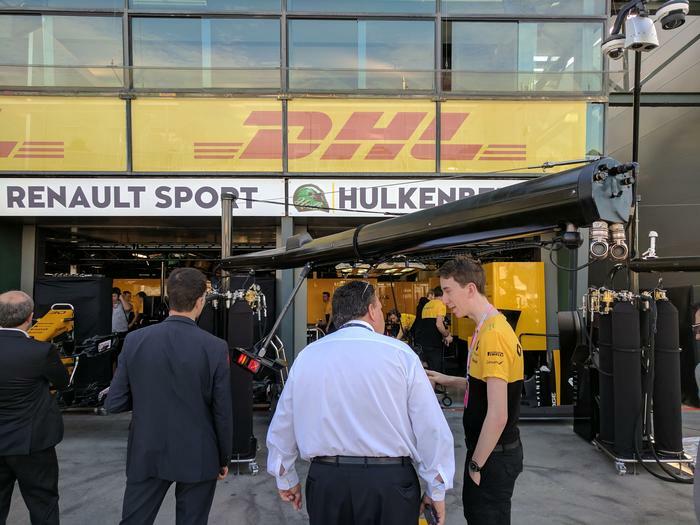 A venerable old team like Renault should know better. 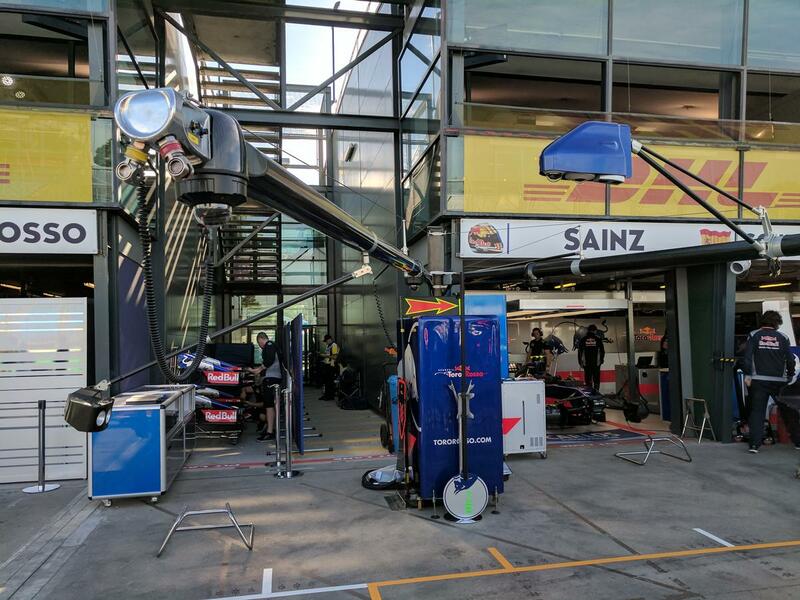 Meanwhile we see exactly where Toro Rosso's budget ran out. ZZZzzzzzzzzzz. Hmm. It's better than a few sticks, but not by much. 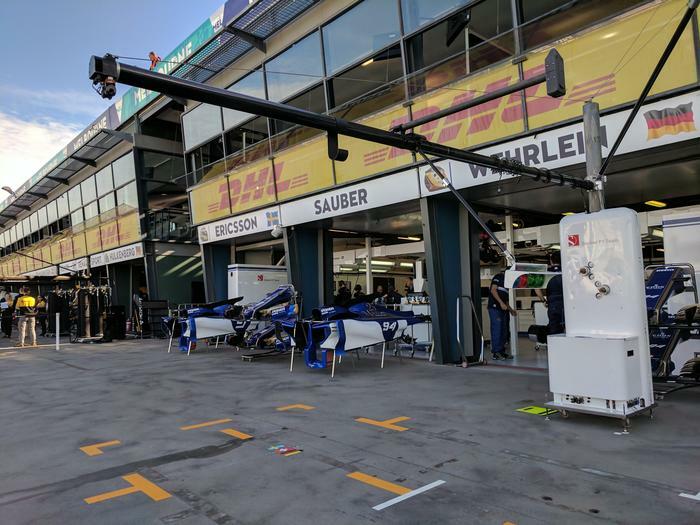 Sauber's boom at least represents an attempt to design the base. They also haven't tried to redesign the traffic light. Function over form. Too few interesting, colourful, sticky-outy bits. Disappointing. 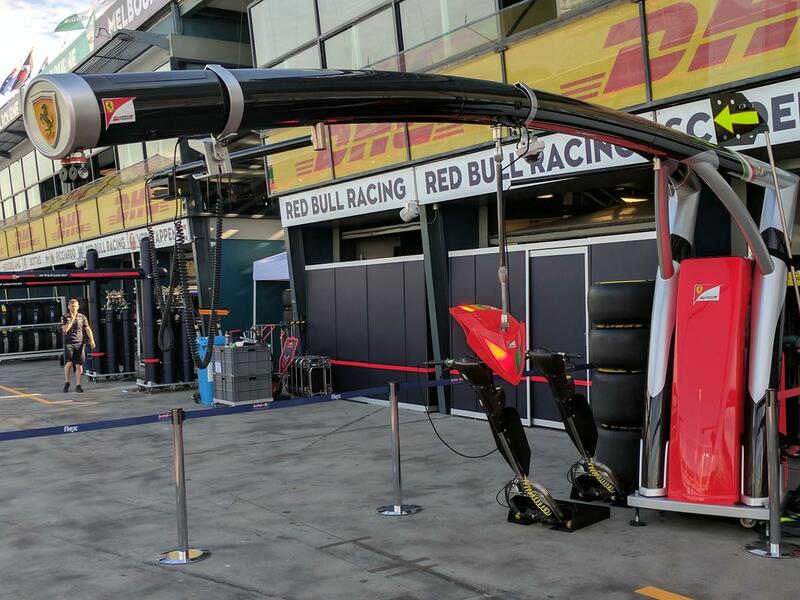 We didn't expect much from Haas but this is relatively impressive. There are arms and pokey-out bits sticking out everywhere. The traffic lights are reminiscent of a tripping Wall-E wearing old-school 3D specs. Branding is good. Not bad. OK so it's not the greatest industrial design achievement, but those old-school racing stripes cover up many sins. A controversial decision, surely? 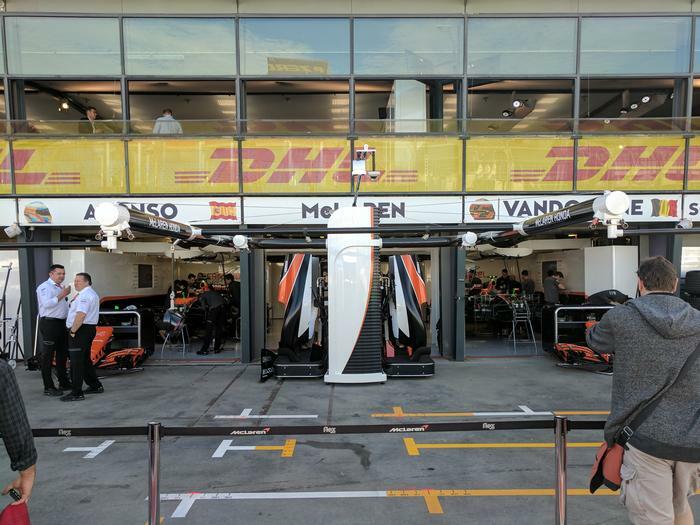 While there's contouring and thought that's gone into these typically-Teutonic minimalist booms, we expect (much much) more from the pre-eminent F1 team. A boom should strike fear into the hearts of opponents. Does this do that? No. Red Bull's booms are flashy at first glance but quite basic in terms of structure. Red Bull's booms are impressive and can be seen from the other end of the pit straight thanks to the bright-coloured livery. 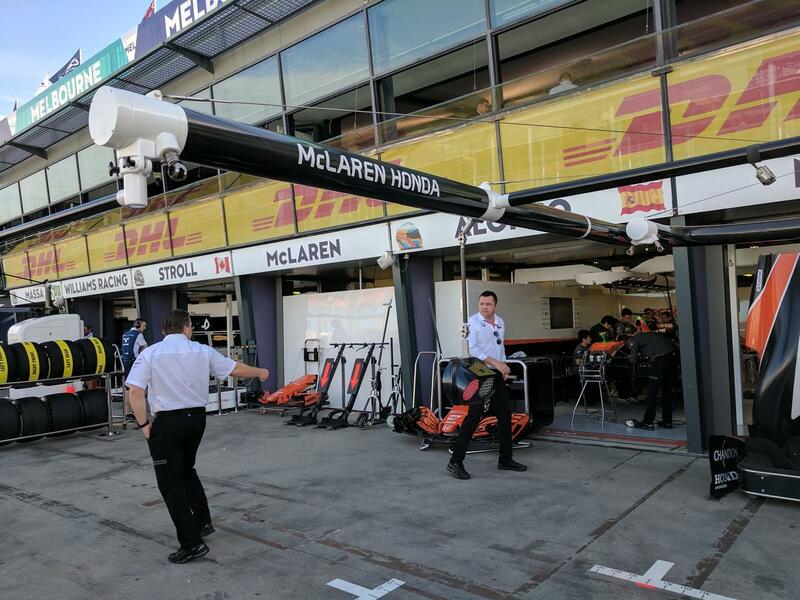 There's even a roundy bit on the end. Just goes to show that you don't need to spend too much effort to make a basic stick structure look good. This team gets it. Why waste time creating engines that work and paint jobs that look like they'd belong in a hardware store when the thing that people are going to see is the boom. This is truly outstanding. The base has unnecessary knobbly bits, the pipes feel like they've been created specially for purpose. 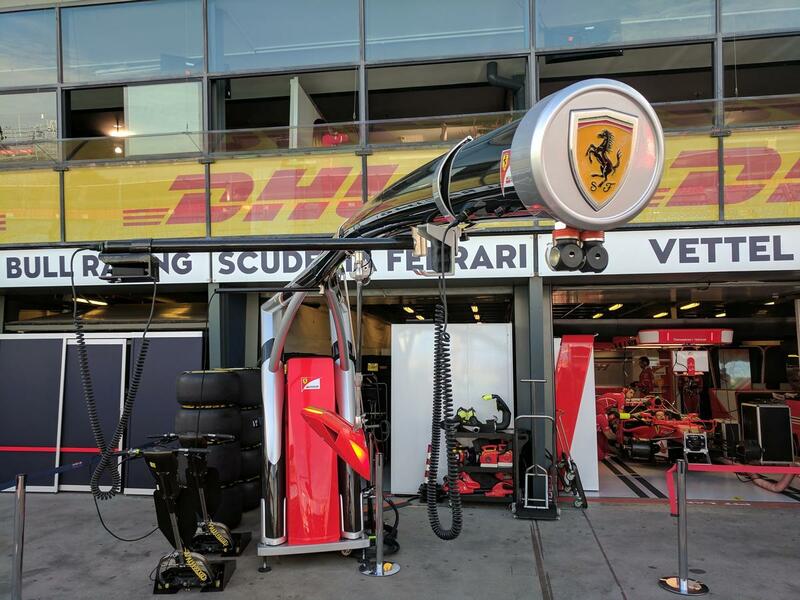 Clearly most of the team's budget went on these beauties. The way that both gantries are combined into one base is just other-wordly. The guys who designed this set-up need to be promoted. This quasi-phallic affair screams arrogance and veritably shouts, mine is bigger than yours! 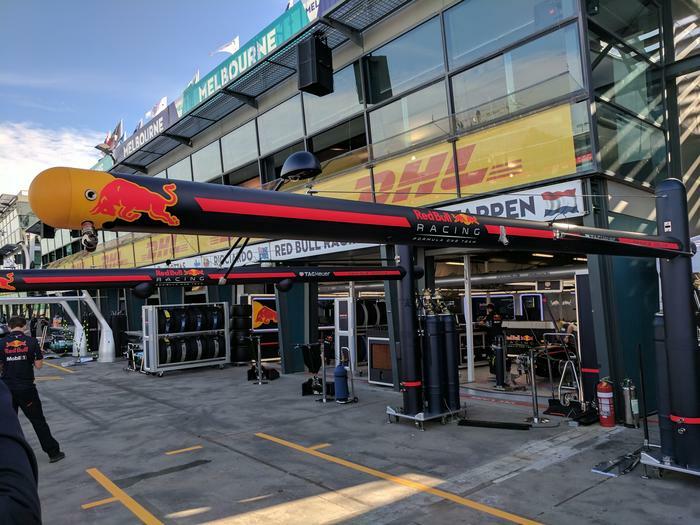 If you thought that the sole job of a traffic light system was to easily and immediately identify the difference between red and green, you don't know a thing about creating the best Formula 1 Pit Lane Boom Gantry. The Tifosi will tell you, the badge on the end likely costs more than your car. Who else? You don't need to be an expert about Formula One pit lane boom gantry things to be able to appreciate what's going on here. One Red Bull engineer questioned the functionality of the arching, low-hanging booms... did we detect a hint of jealousy? They've got Ferrari badges on the end of them and they likely cost as much as a 458. 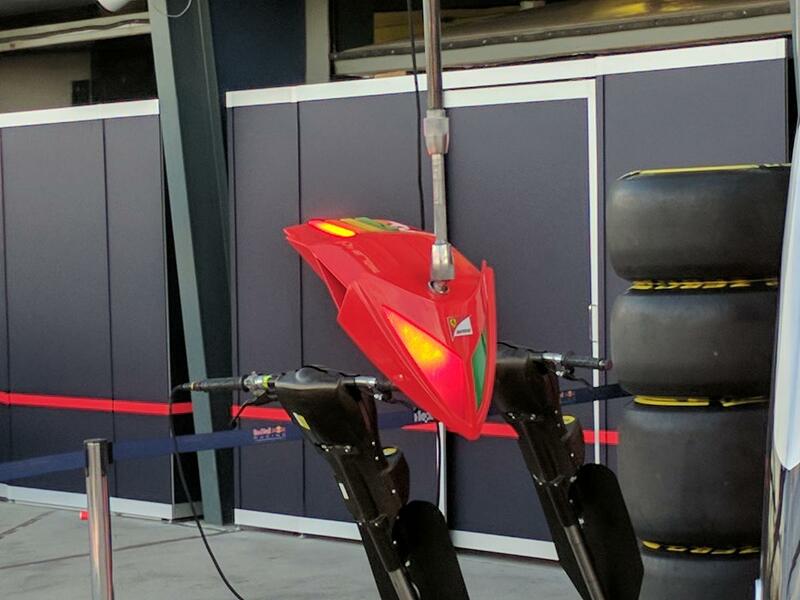 To top it all off they have a traffic light system that's been inspired by the aliens from War of the Worlds and housed in a bright red box to strike confusion into the hearts of all who gaze upon it. Whatever happens this season, Ferrari can rest assured with the knowledge that they won one of the sport's most important, peripheral competitions of them all.